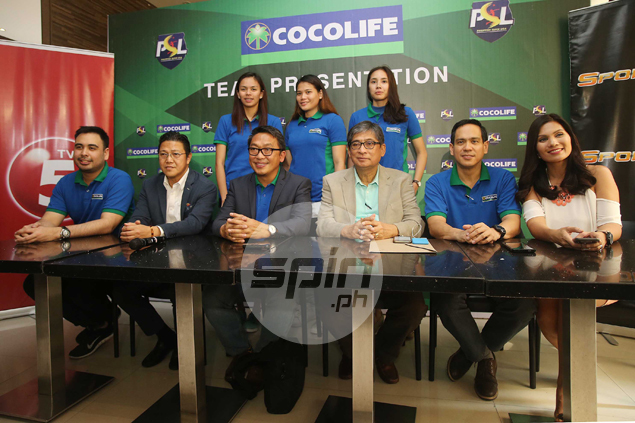 COCOLIFE has joined the Philippine Super Liga and will make its debut when the league's 2017 season unfurls with the Invitational Conference beginning on March 4. A star-studded cast led by former rivals Michele Gumabao of La Salle and Denden Lazaro of Ateneo backed by Rose Marie Vargas, Therese Gaston, Erika Alkuino and Wensh Tiu banner a Cocolife side under the mentorship of American coach Airess Padda. “This is an attempt to break the barrier between Ateneo and La Salle players we want to show that even if these players were rivals during their college days, they can be friends on the court,” said Cocolife team official Josh Ylaya. Mainstays Petron, Foton, Generika, Cignal, F2 Logistics and a new team that will be led by College of St. Benilde coach Macky Carino will vie for the title vacated by RC Cola-Army as the Lady Troopers are on an indefinite leave due to military training. A Japanese team is also expected to join the competition in the semifinals. Looking to regain their old fighting form, Petron has undergone a total revamp during the offseason by tapping the biggest names in the free-agent market. San Miguel Corp. sports director Alfrancis Chua, who was on top of everything from the recruitment to the contract signing, made sure that they would get Mika Reyes from F2 Logistics, Rhea Dimaculangan from Foton and Mela Tunay. Foton, on the other hand, signed former Patron libero Jen Reyes to back up Tornadoes mainstays Dindin Santiago, Ivy Perez and Rubie de Leon. Just when the other teams are halfway through the preparation, Cignal had a major recruiting coup and tapped former RC Cola Army players Rachel Anne Daquis, Jovelyn Gonzaga and Honey Royse Tubino. Meanwhile, F2 Logistics and Generika kept mum on their lineup.